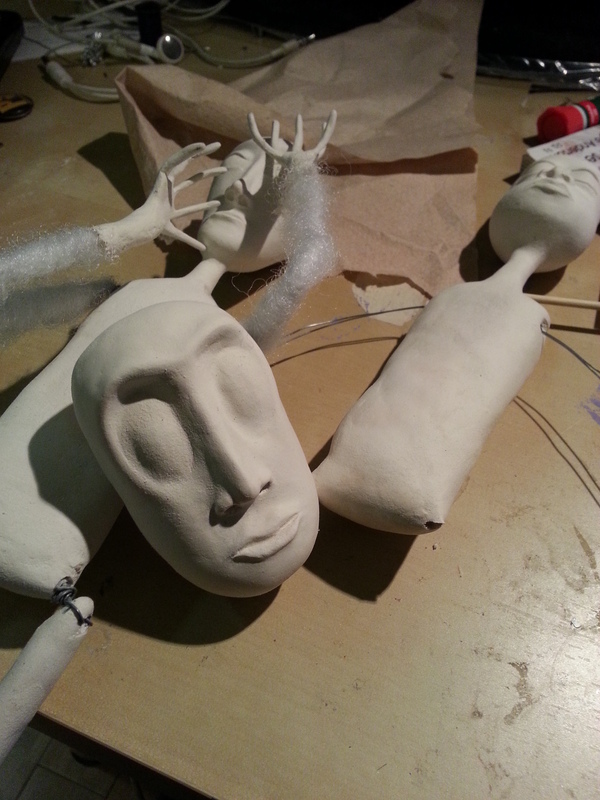 I have been doing some more work on the doll that I’m creating for Billy Black over the past few days. I was kind of stuck trying to figure out which face paint to put on him since he has so many different styles that he wears. I decided to use the one that he wore when I met him for our meeting since that seems to be the design that he wears more often. All I need to do now is work a bit more on his mustache and style his outfit, I’m getting a lot closer now. Every year I plan on making some holiday themed dolls and ornaments and I never get around to it. After going on Facebook and seeing what my fellow dolly friends are making, I decided to give it a shot. At the moment I have a table full of dolls and doll parts but no finished pieces. I think I’m going to try to scale back and try to work on one maybe 3 pieces at a time, wish me luck guys!